Although it has been downright frigid in Los Angeles lately, temperatures will never dip low enough for snow and ice. That doesn't mean your dream of a white holiday can't come true. Bundle up, grab your skates and head on over to one of these local ice rinks for some merry and bright outdoor fun. Besides skating, there is also a free concert series, broomball games every Tuesday, Wednesday and Thursday night and a Winter Holiday Festival on Dec. 14 with Santa, snow, live music, crafts, bouncers and a train ride. Located next to the shopping center's beautiful bodies of water, the picturesque rink is the ideal setting for a festive skate session. It's a bit of a trek to get there if you live in Los Angeles proper, but since it's surrounded by several great restaurants and shops so you can make an afternoon or evening of it. This is one of the only places in Los Angeles where you can spend a day at the beach then go ice skating – all within walking distance. There are even beginner hockey clinics with staff members from the L.A. Kings for $15 on Sundays through Jan. 12, from 9 a.m.-10 a.m. 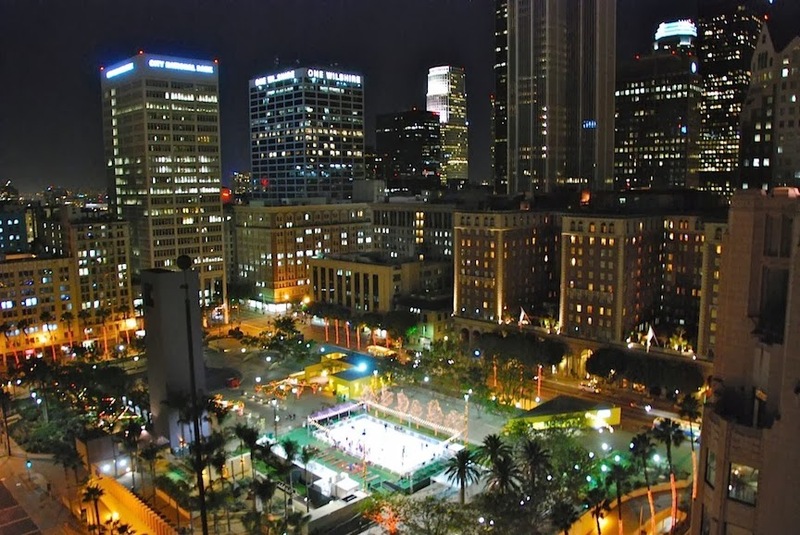 Speaking of the L.A. Kings, their outdoor skating rink returns to L.A. Live again this year just steps from their home arena at Staples Center. You can also purchase a Supper & Skate package for $30 ($20 for children), which includes admission, skate rental and a prix-fixe dinner from LA Market, Lawry's Carvery, Rock'N Fish or Trader Vic's. Located in the heart of downtown Burbank, this is the rink to visit if you still have some gifts to cross off your shopping list since the Burbank Town Center is just a few minutes away. It's also the place to go if you're taking a small child since they have these adorable, plastic Bobby the Seal Skating Aids for rent ($6) that the little ones can use for support as they glide around. Now in its fifth season, this rink offers lessons, as well as special theme sessions and giveaways through February 17. There are PJs & Pancakes (or Doughnuts) mornings when you get free skate rental if you show up in your pajamas, dance performances, Country on Ice nights when you get free rental if you wear denim, Mustache Night and a celebrity Doppelgänger Night.